Phyllis Smallman’s first novel, Margarita Nights, won the inaugural Unhanged Arthur award from the Crime Writers of Canada. She has been awarded both gold and silver medals from the Independent Publishers book awards. 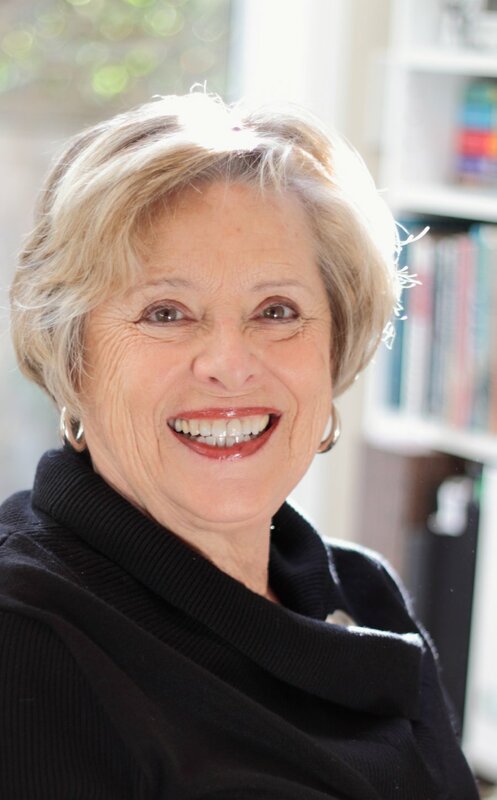 Her writing has appeared in both Spinetingler Magazine and Omni Mystery Magazine. 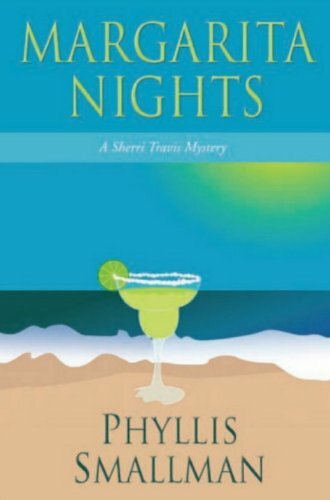 The Sherri Travis mystery series was one of six chosen by Good Morning America for a summer read in 2010. Before I begin, I have a confession. I wasn’t published until I was sixty-two. Now, don’t you feel better? I won the inaugural Unhanged Author contest from the Crime Writers of Canada. This led to a contract with a Toronto publisher, after twenty years of secret writing. Ten years later, and with my ninth book coming out this fall, I’ve learned a few things. I know what follows sounds like I’m asking more from you, but trust me, this strategy will keep you going. It kills guilt and wakes up your talent so that when you can really work, you really can. 1. Don’t focus too hard on THE BOOK. I know, you want it done yesterday, but thinking only about this big block of writing takes the joy out of creating. All the little bits of writing you do, pieces that will never make it into THE BOOK, are equally important. 2. Keep a small notebook with you, one with a cover that makes you smile. This is where you write your bits. Think of how much time we spend waiting. These are opportunities to focus on a character sketch, a mood, or even a vehicle that you’ll need.What do you smell and hear? Describing a sunset or the whine of the mechanics drill as he changes your tire, those are all terrific practice and necessary for writing well. And these writing bits will be your freshest and strongest writing because they are from life. It’s like stocking your cupboard for an emergency. 3. Write in the small spaces. Waiting in the dentist’s office? Do a short description of another person in the waiting room. Surprisingly, sooner or later you will likely use this bit. You’ll be writing a scene for your novel and need a casual player. There’s no need to interrupt the flow of the story to think up the character because you already have someone to insert. Or describe the dentist’s office. Coffee shops are perfect for these quick sketches. Pick a person and analyze them. How many piercings? Tattoos? Study the server. How much education does he have at it. Is this a temporary job or will he be here forever? Surprising how many times I’ve needed to describe something like this and go blank. That’s when I pull out my trusty sketch book of words. Homeless people make great subjects, and what cityscape is complete without one? Think of an artist drawing. That’s what you’re doing, but with words. I once wrote a whole piece about an unknown woman that I liked so much I wove her into the subplot. Eavesdropping is a good thing. It helps with so many aspects of writing. Not only does it teach you to write dialogue, but it shows you the ebb and flow of conversation. All grist for the mill.We all make snap judgements about people, seemingly with little information. But we’ve taken it in with the air— their social status, their mood, and even their very soul. Best of all, we learn how to portray characters without adverbs. 5. Print out the part you want to edit. When you get to the stage of editing, here’s where the small spaces of time really shine. Waiting in line for the school pickup? Read that chapter out loud. You’ll quickly see the repetitions and the awkward bits. If your tongue stumbles, your reader’s eyes will, too. If you’re worried about people thinking you’re crazy, hold up your phone as if you are making a life changing call. This has the added benefit of keeping people from interrupting your writing time, because that’s what it is. 6. Write when you can't sleep. And then there’s that three o’clock in the morning time when you can’t sleep. Truthfully, it was menopause that turned me into a better writer. What else do you do at that time of the night? Worrying about your kids or how whacked you’re going to be at work the next day only makes being sleepless worse. And there’s no way you want to fixate on what the guy lying beside you is up to, so now’s the time to work on your plotting. Figure out how you can go deeper into the story. How can you make that plot twist more real? Can you go back and put in some foreshadowing? Can you combine two characters into one to streamline the story. For me it’s always, "how can Sherri Travis reveal the killer and come out of this alive?" The middle of the night is truly where you get the hard work done, not sitting in front of a screen. 7. Outline the story like a grocery list: list only what’s necessary. Outlining is a huge ongoing project until you’re ready to actually commit to writing scene by scene. As quick as you can, write that great idea down in the notebook that’s always handy. You can flesh it out later — maybe put two of these ideas together into one story. Two great ideas in one story, how brilliant is that? Or maybe you’ll create a short story from that idea. Now is not the time to edit or be critical, this is where you dream. 8. Write down what inspires you. Here’s something I’m a little squeamish to tell you. When I’m reading, if I see a wonderful phrase, I write it down. Think of it as a prompt or an inspiration. Always put it in bold quotes so you know it isn’t yours. You’ll put your own spin on it later. And another little secret, I also collect names from screen credits. If you write the little places, when you do have a block of time, you’ll be prepared to write. It’s like stretching before you exercise. When you sit down at your computer you don’t waste a minute thinking about what you’ll write because you’ve got this powerful sketch of your protagonist’s father to put in, one that will explain why she can’t commit to a relationship, and a brilliant description of their home, decayed and unloved, that mirrors their relationship. One more thing. Don’t tell me you aren’t a writer until you’re published. That’s garbage. You write; therefore, you are a writer. Being published doesn’t bestow some magic mantel on you. You already have it. And it’s a valuable and necessary thing to do. From the time humans sat around fires in caves, we’ve needed story tellers. It doesn’t matter how those stories are delivered, e-books, digital streaming or whispered in the dark, tall tales are necessary for humanity. So, do your bit, write. In a small Florida beach town, Sherri Travis is a bartender with attitude and a woman with an inconveniently murdered husband who turns out to be as much trouble to her dead as he was alive. Sifting through the debris of Jimmy's life, Sherri finds more than a few people who wanted her lying, scheming, scam artist husband gone -- but which one actually did the deed? This is all great advice! I do a lot of it already and find it enormously helpful to my process. I've been writing for years, but have only recently committed to it as a kind of "job." I'm still getting used to telling people that I'm a "writer" when they ask what I do (besides, you know, raising the kids and keeping the house). Good for you! Saying, "I am a writer," out loud reinforces your resolve. 3am is definitely the magic time. What excellent advice! I do some of these things already, but will now do them with increasing enthusiasm. Enthusiasm is exactly the what is needed. Nothing worthwhile can be created without it. Thank you for a post that really hit home. As a yet-to-be-published author with a WIP, and 3 on the back burner, I find my creativity and writing focus has increased now that I'm in the throes of periomenopause. Though each of my projects have dedicated notebooks, I love the idea of having one to catch the random potpourri that shows up in my brain. It is always worthwhile to browse through those notebooks for inspiration. Maybe off subject, but I'm glad you said you were published at 62. I am 65 and got a story in Chicken Soup for the Soul last year. My novel is as yet unpublished. Just a general comment here. I follow this site, and many others, via Feedly. Some link to a full post, some to just a teaser. All I see for the post here though is a title and her bio - which seems to be there to say 'this person has done a lot, so must have something interesting to write about'. I'd much rather that you start with what she actually has to say, so I can decide whether to visit the web page. If I have a lot to review, when I see something like this I often just skip to the next one.